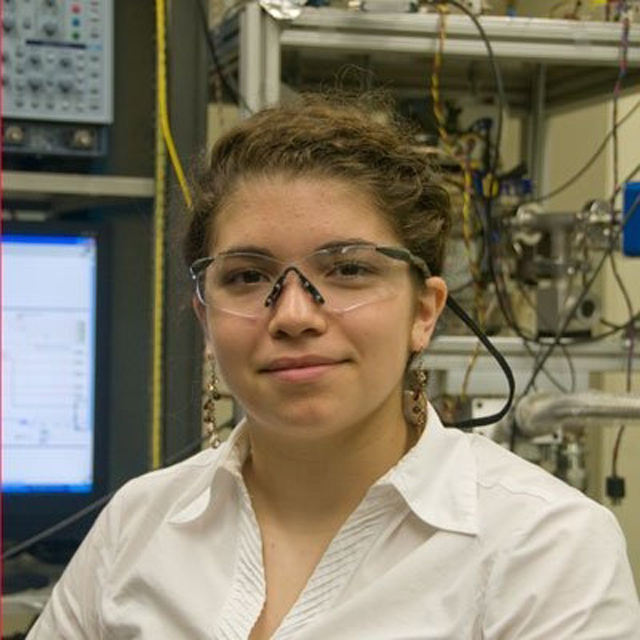 Dalia Ornelas from Universidad de Guanajuato worked in a lab that is building a hybrid quantum system. 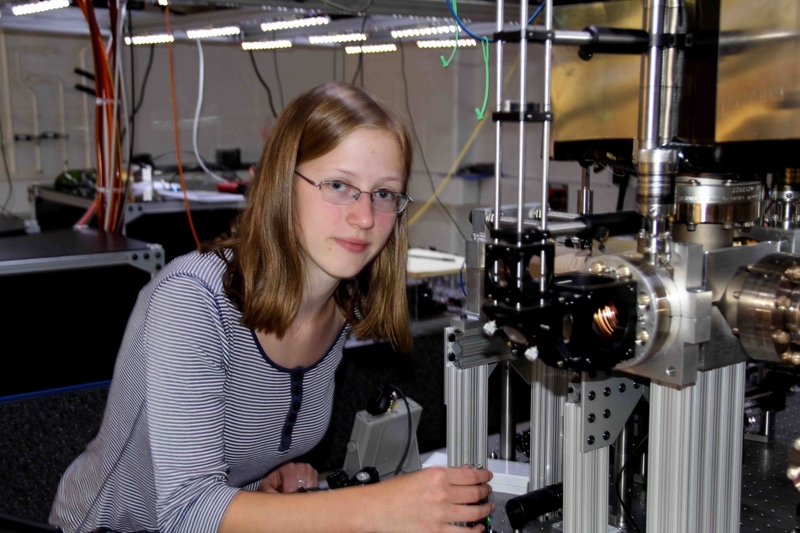 Here she is characterizing an optical fiber using diffraction. Dalia is now a graduate student in Trey Porto's and Steve Rolston's ultracold mixtures lab. 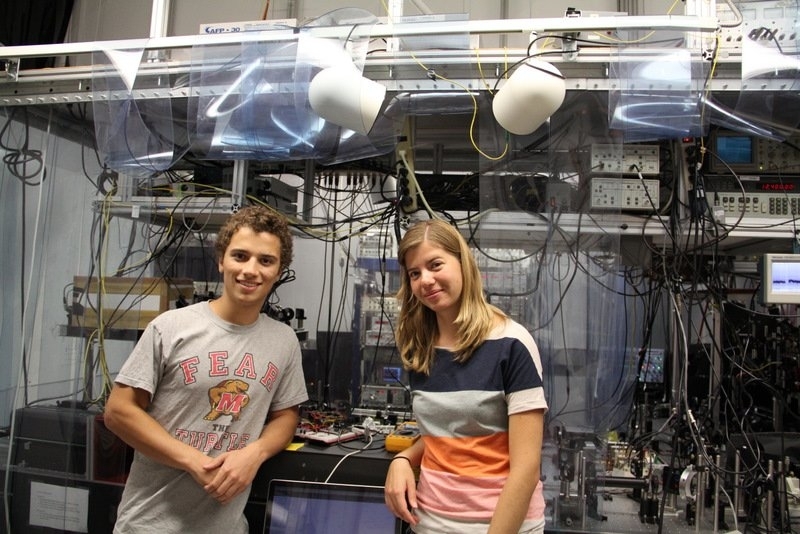 Burkley Patterson from UMD and Ana Valdes from UNAM work in a lab that focuses on cavity quantum electrodynamics. Burkley is conitinuing on as a graduate student in this lab. Ana has started graduate work in Ian Spielman's lab. 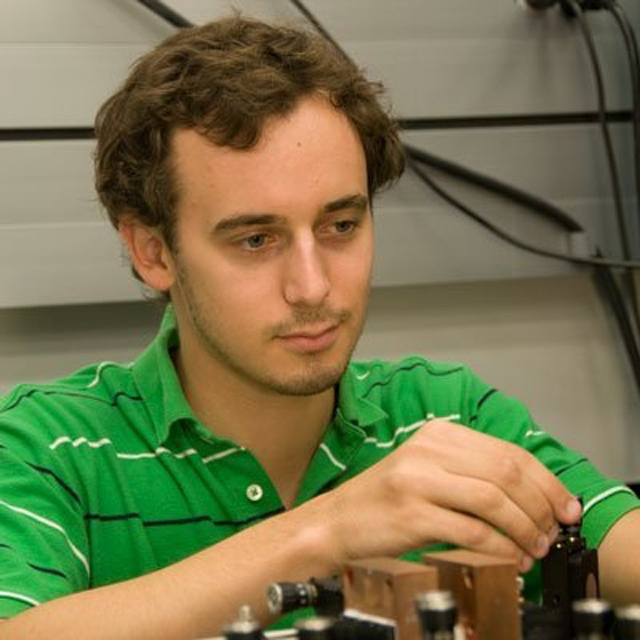 Austin Wood, an undergrad at University of Maryland, worked on developing a method to make nanofibers. 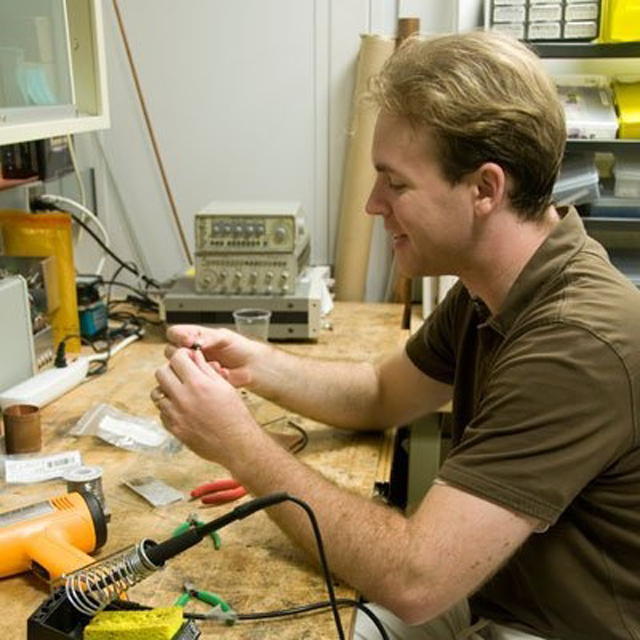 Cody Ballard, from Trevecca Nazarene College in Nashville, TN worked with superconducting quantum devices. Lotfi Belmahi, from the Ecole Polytechnique in France, worked in NIST's Atomic Physics Division. 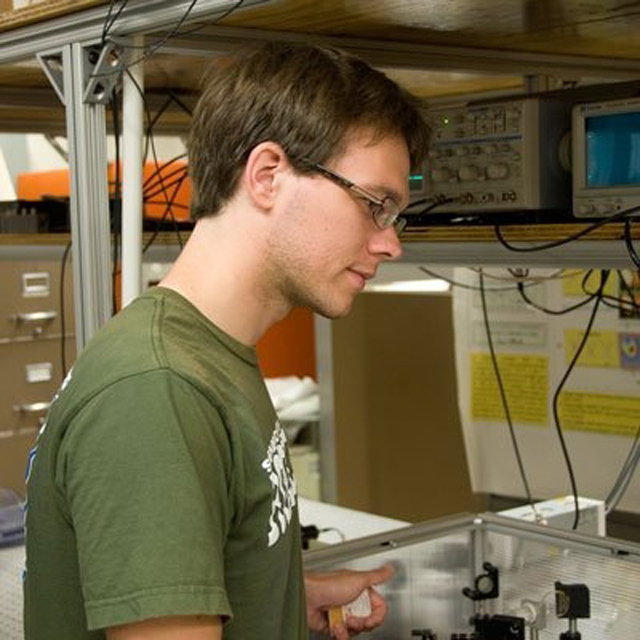 Joshua Crawford, from the University of Maryland at College Park, worked on single-atom detection. Jean-Christophe Dornstetter, of the Ecole Polytechnique in France, worked in NIST's Center for Nanoscale Science and Technology. 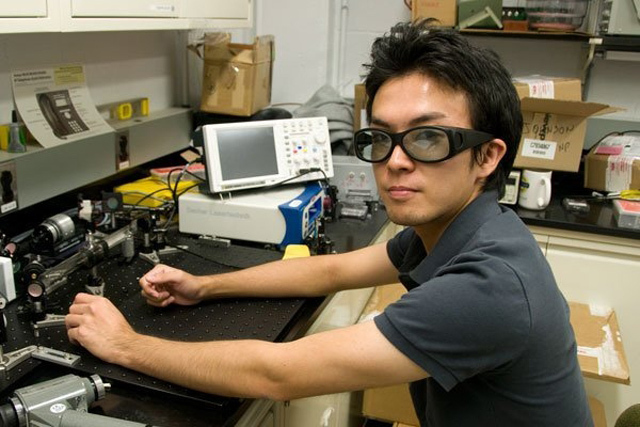 Takuma Inoue of the University of Maryland at College Park worked at an AMO experiment in a JQI lab. Aaron Lee of the University of Maryland at College Park works in a JQI/PFC ion trap laboratory. 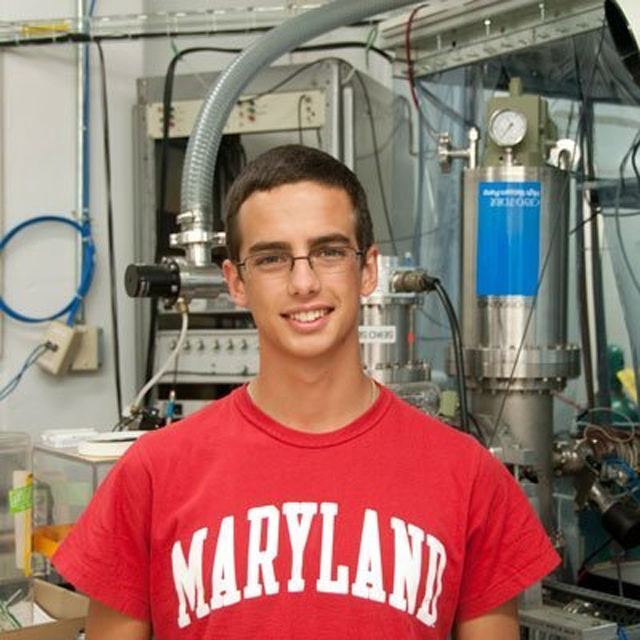 Aaron also decided to attend graduate school at UMD and has continued research in Chris Monroe's laboratory. 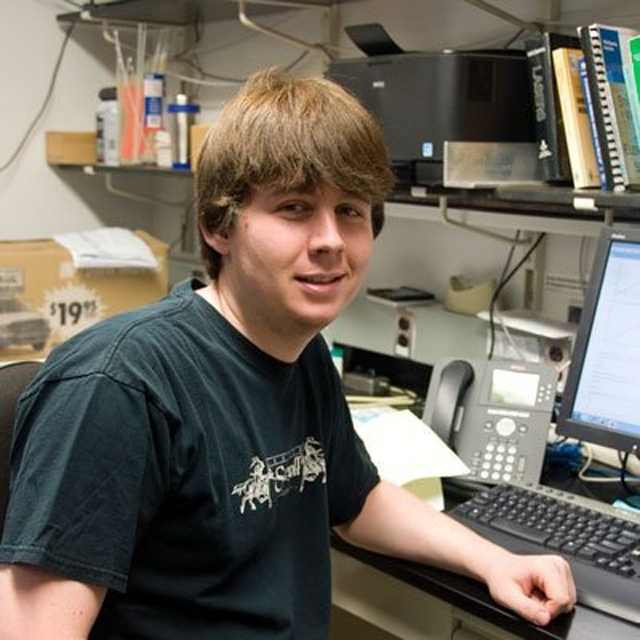 Brian McIlvain of the University of Maryland at College Park worked on ultracold atoms and ultrafast lasers. Michelle Nadeau of American University worked in an optics lab in NIST's physics building. 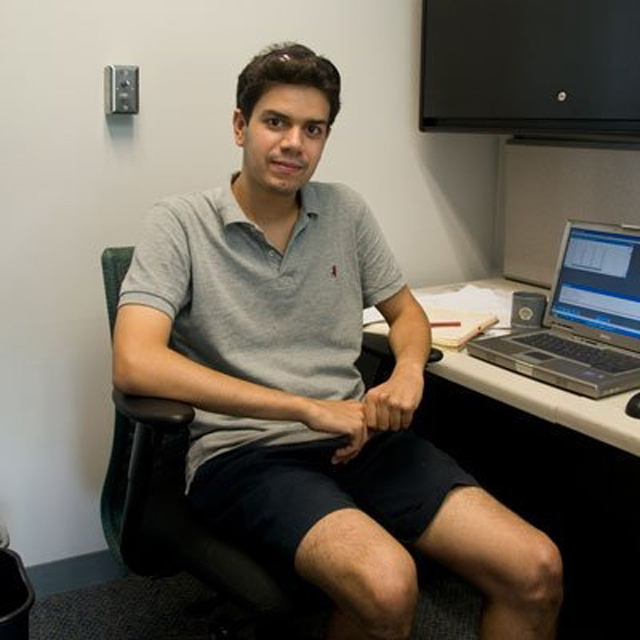 Robert Perotta of the University of Maryland at College Park worked on ultracold plasmas in a JQI lab. Jesus Ramon Ramos, from the University of Guadalajara, Mexico, works on cavity quantum electrodynamics experiments on the UMD campus. 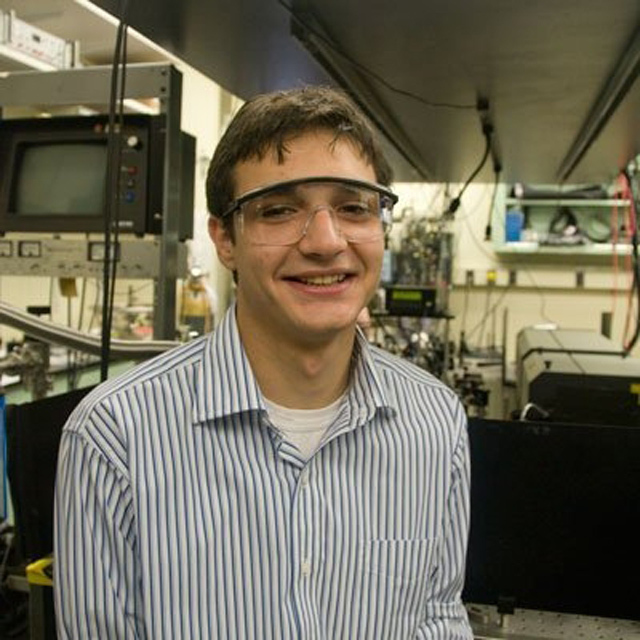 Mario Rusev of Lafayette College worked in an optics lab in NIST's Physics building. Yomay Shyur from Wellesley College worked on experiments with sodium at NIST's Gaithersburg campus. 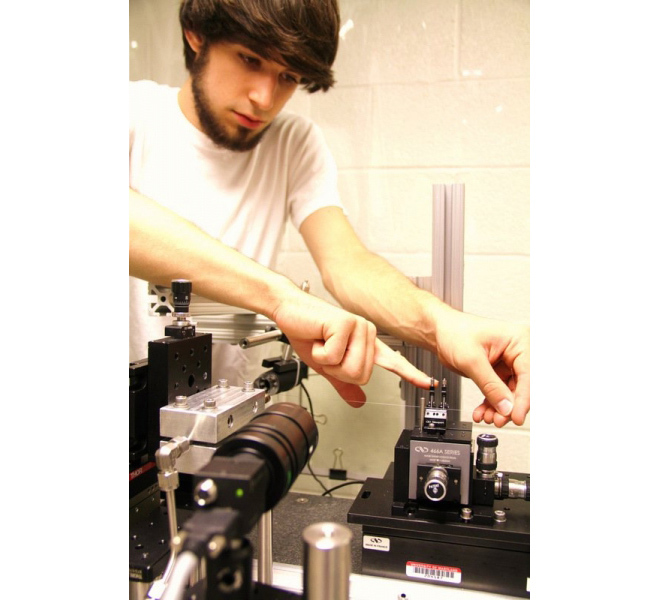 Matthew Smith, from Sherwood High School in Montgomery County, MD, worked on atom optics at a lab on the UMD campus. 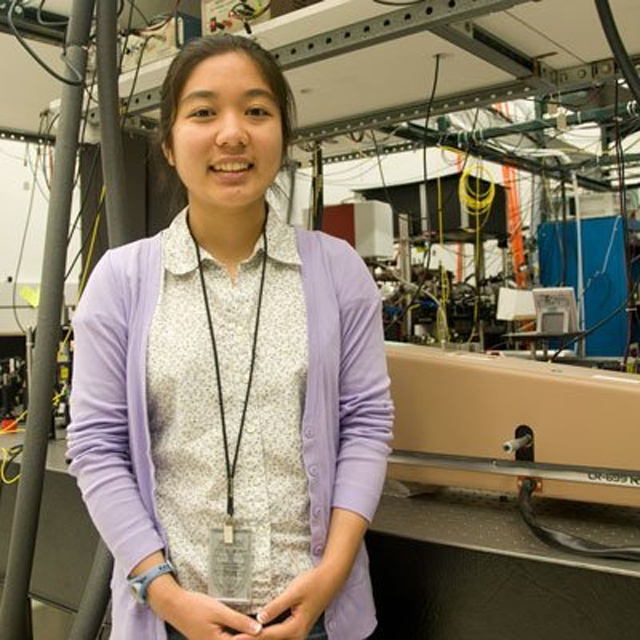 Kayo Teramoto from Churchill High School in Montgomery County, MD, worked in one of JQI's AMO labs on the UMD campus. 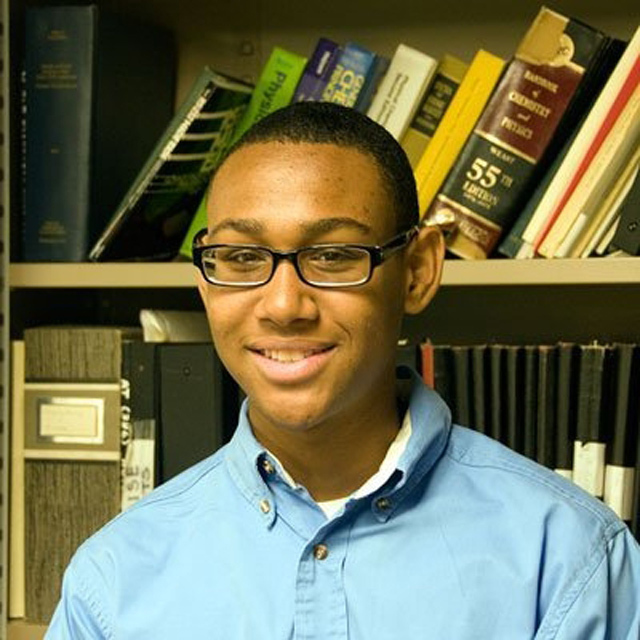 William Weston-Dawkes, from Churchill High School in Montgomery County, MD worked on AMO experiments on the UMD campus. 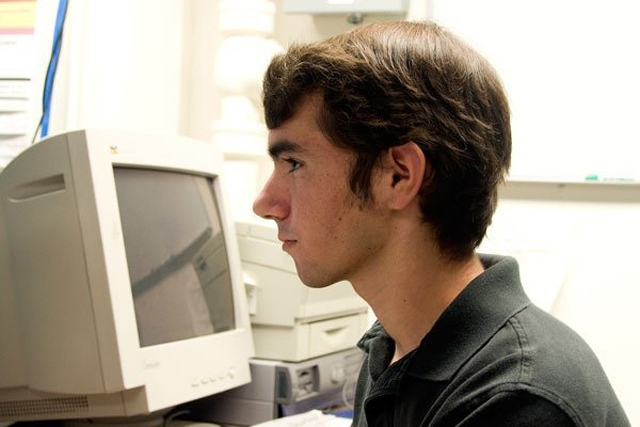 Mika Chmielewski worked as a high school student on various projects including building a demo for explaining wave-particle duality. She is currently an undergraduate at Carleton College. 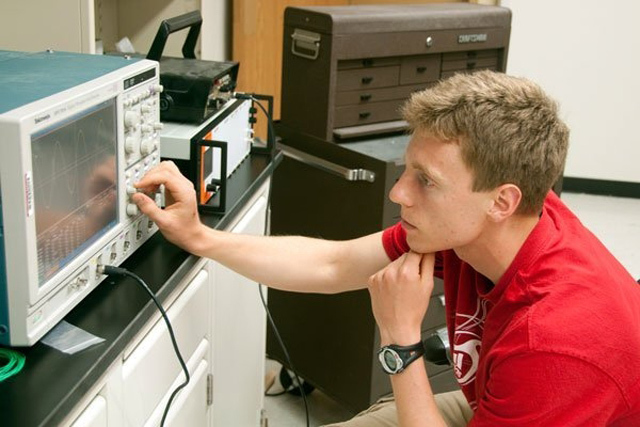 The Physics Frontier Center at JQI takes an active role in encouraging high-school students and college undergraduates to participate in various aspects of PFC research projects during the summer months. Each year many students gain invaluable, hands-on experience at laboratories and other research facilities at the University of Maryland (UMD) and the National Institute of Standards and Technology (NIST). They are typically supervised by graduate students and/or postdoctoral researchers, but also interact with numerous group members, including JQI Fellows and senior scientists. With the completion of the Physical Sciences Complex, students now have the opportunity to work in this state-of-the-art facility. In some cases, the summer students are local and are able to work throughout the academic year. PFC and JQI researchers engage the public in quantum research. Click here to request a visit from one of our scientists!